Seed Strain Review – What are you really buying? From Sensi, Greenhouse and Paradise and everyone in between we have chatted with most of their crews in Amsterdam, in person. 1) True breeders – The guys out of Amsterdam who have usually been around since the mid eighties are often the original source of seed strains who invariably win the Cannabis Cup. They may have found these strains anywhere in the world from India to the USA. They keep growing the plants until they get a stable seed strain. These breeders sell their seeds directly to the public (rarely to the USA though) and also through wholesale to online retailers who sell them on. 2) Re-branded breeders – These companies buy seeds in bulk from the true breeders or directly from seed breeders, usually based in Spain. They then name that strain something you have heard of before such as Super Skunk, Big Bud or Bubblegum, or they simply invent strains such as Bombtastic, G – 15 or something. When they say it is Super Skunk they are usually not exactly the same strain as the original from Sensi (registered trademark) but they are often a good ‘copy’. Where are cannabis seeds born? Quality testing. Most of the Dutch seed breeders obtain some portion of their stock from their own very strict in-house breeding plantations from within the Netherlands, Germany or Austria. However, for the most part the vast majority of seeds sold in the world originate from Spain, where the laws on growing weed are optimal and so too is the outdoor environment. Seeds are then couriered over to the Dutch seed companies where the big name guys put them through all kinds of tests for freshness. We know at least a couple of them analyze each seed with a microscope equipped with a camera to test for viability which inspects the health of seed endosperm and embryo. The machines they use for this are very expensive and operate at a super fast rate. However the re-branded seeds are usually couriered directly from Spain to where ever the ‘breeder’ is located, UK, Canada, Spain, Italy or some EU or EEU states where it is legal to sell seeds. They brand this seed however they want, market it and send it on to the end user. Note in this system there are no expensive viability test going on and quality may not be as good as the true breeders. Re-branding companies usually don’t have such a strong connection to any particular wholesale seed supplier, order less so pay more and are less respected by the wholesalers in Spain or buy ‘cheap’ seeds. This is not always the case though!! Re-branders often do offer a quality product because if they don’t they remove all chances of re-orders and getting flamed in the forums so it is in their best interest to buy quality seeds that produce great buds. We know Marijuana-Seeds.nl try very hard in this respect. Not all ‘Super Skunk’ seeds bought from different companies will produce the same plant or each ‘Big Bud’ grow an identical specimen. We have actually seen scientific studies from an Amsterdam University which after using some high end tools proved that the ‘same’ finished product, say Super Skunk, sold by the Amsterdam coffee shops did not match uniformly on the CBD, CBN and THC spectrums. In fact each time we go to Amsterdam we are always a little frustrated with the quality of the cannabis in the coffee shops, no matter how big or small the coffee shop is we find a lot of gear is oh so similar in look, smell, taste and end result. Unfortunately after 20 odd years smoking we know that the gear bought off the street in California, Australia and the UK is often a better option. The same issues can be noticed when buying seeds, many of the seed strains out there are very generic and often only the old skool seed companies offer stable seed strains that can be relied upon. There is two types of marketing in the seed game. Those that invented the seed strain after years of research whilst making sure the seed was stable and those who either rip off that name or simply grab any old seed and call it, as one large company owner said to us “Around the World Three Times Super Wonder Dog” … indeed. Breeders and retailers rely on good names, marketing, claims of high THC, great packaging and often offer an approximate breed to what you are looking for i.e. the plant will be haze dominant and have purple leaves when you look for Purple Haze. If you are buying generic ‘Super Skunk’ online then it could be practically anything but when you buy from the brand name breeders you know that they are selling the same seed strain they did maybe 25 years ago. It will be bred consistently so that each of their seeds will have the same genetics, year after year. The top end breeders offer reliability through consistency; you can trust that Barney’s farm for example will be selling the same ‘Tangerine Dream’ as they did back in 2010 and so you can rely on it growing the same as your friends or someone else’s grow online who bought from them. How are truly new seed strains born? If you read on further you can learn about F1, F2 etc within strain breeding, we suggest you do that. Ignoring the seed strains which are pure marketing hype i.e rebranded random seeds from Spain. True new seed stains are born from a very time consuming and expensive process. The major seed companies spend hundreds of thousands of dollars running their labs growing, stabilizing and testing the new strain for YEARS before finally taking them to market. These seeds are often procured from a seed strain that has existed elsewhere for generations but they have found them to produce a different smoke, look, growing height or taste that is desirable, so they have decided to cross this with a stable strain such as White Widow and after extensive testing they rebrand the new strain as their new best seed strain with a big price tag. That being said, the big name breeders do spend hundreds of thousands of dollars on cross breeding and fine tuning those ‘new strains’ (we have seen their labs with our own eyes) so once again you can buy with confidence that they are supplying a very high quality product. The bottom-line is; if you buy generic seeds or from relatively new or unknown ‘breeders’ you never quite know if you are receiving the same as if your friend bought that exact same strain from the same company last year. However if you buy a brand name, packaged seed such as the Cannabis Cup winning “Barney’s Farm Vanilla Kush Feminized Seeds” it will actually be the exact clone of the seed that won the Cup. Low number of strains – Take a look at a breeders seed catalog, if it has a small number of varieties then as a general rule this is a good thing. Why? Well because it takes years to produce a good stable strain in the first place and it is costly to keep it going. Not too many feminized – Everyone wants feminized seeds, but it takes time to move a ‘normal’ un-feminized strain over to over to auto feminized. When we speak to the major breeders they are still firm believers in using indoor seeds and weeding out the males when you get the chance. Trademark and Cannabis Cups – Although there is a fair bit of skulduggery within the Cannabis Cups it’s usually true to say that the companies that win them do so for a reason. Even if sometimes the judges might be a bit biased to award companies that have long track records of high quality seeds and that in it’s self is a good thing, rewarding those who promote quality over pure cash. Often the originator of a seed strain trademarks their strain, you can conclude from this that they were the originators. F1 Hybrids – F1 hybrids originate from two very stable IBL’s or Inbred Lines. These are super stable. When you start getting into F2 or further it becomes harder and harder to know exactly what you are getting. Some companies like T.H Seeds only breed F1 hybrids. These are trusted partners to delivery fresh Hybrid Feminized Marijuana Seeds worldwide. There are many terms which get used (and abused) by both breeders and growers talking about cannabis strains and breeding; in truth the very nature and definition of strains is often very loose within the marijuana world largely due to its unregulated and historically clandestine nature. What we’ll try to do here is give you the common meaning of the terms as you will most often see them, which may not be the same as the strict biological definition used in other agriculture. Firstly, we have an IBL or Inbred Line. This refers to a variety which has been selectively inbred to stabilize certain traits in the strain. Inbred lines are largely uniform when grown from seed, and although there will still be variations between seedlings they should all share a distinct series of traits with no phenotype variation. For example, Sensi Seeds Afghani #1 is an IBL which will always be a quick flowering indica and produce large amounts of resin, but you may still see a reasonable amount of height variation and slightly differing leaf shapes between seedlings. Even an IBL will not produce quite the uniformity that you get when growing multiple clones from one mother plant, but they are the most homogeneous lines which can be grown from seed. Other famous strains considered IBLs include Northern Lights, although there is often much argument in the marijuana world about what constitutes an IBL and which strains can and cannot be considered to be IBLs. An F1 hybrid is the result of crossing two separate IBLs. F1 hybrids are usually more vigorous (faster growing, higher yielding) than either of their parents, but are likely to have a greater degree of variation between seedlings. If you crossed Afghani#1 with Blueberry to create a new F1 ‘Blue Afghan’ then you may well see some seedlings of that F1 strain lean towards each parent; the F1 strain will not always produce the same true breeding characteristics as either of its parents but you are unlikely to see characteristics which neither parent displayed. There should be minimal phenotype variation between seedlings as the dominant genes from each parent are likely to dictate most of the plant characteristics. An F2 hybrid is the offspring of two F1 hybrids, and higher numbers simply mean even further crossings of subsequent generations. The degree of phenotype and trait variation of F2s is likely to be much higher than in either F1s or IBLs as there is a greater chance that dominant genes will not be passed on to the offspring and so plants may have unexpected characteristics. To use a totally fictional and simplified example: Neither Super Lemon Haze nor Bubblegum are known as strains that produce purple leaves, but if you crossed them together, grew out those seeds and crossed them again there is a chance that you could end up with purple plants. If Super Lemon Haze has a recessive gene for purple and a dominant gene for green, it grows green. Same for Bubblegum. But, if you cross them enough times, there is a greater chance that both parents pass on the recessive and not the dominant gene, resulting in a hybrid offspring that displays the previously hidden genetic characteristic of its parents. As we said at the start the terms IBL, F1 and F2 have shifting meanings in the marijuana world and different breeders mean different things when they use them. This is where things get complicated. The above fictional ‘Super Lemon Bubblegum’ example presumes making random crosses, with multiple fathers and mothers. However, if at each stage you deliberately selected fathers and mothers with the traits you were interested in and carried this on until at least the F4 generation you would actually be on your way to creating an IBL rather than a varied hybrid. So at what stage can you call it an IBL rather an F4, F5 or F6? There is no standard answer to this. Similarly, if you crossed an IBL with an F1, does that make the offspring a new F1, or an F2? Again different breeders would give you different answers. Quite simply backcrossing is breeding a plant with one of its parents, often then also using the offspring of that backcrossing to backcross again to the original parent plant. The aim of backcrossing is to produce a seed line which is as similar to the original parent and as uniform as possible. This method can be used to try to preserve strains which otherwise only exist as clones. For example Cheese was once only available as clones all of which originated from one mother plant. There are now seed varieties of cheese available such as Big Buddha’s available at Herbies or those for sale at Marijuana-seeds.nl. The only two ways these seeds can have been created is either through selfing (see below) or through backcrossing. In the case of the Big Buddha Cheese it appears that they used an Afghani male to pollinate a Cheese clone then repeatedly backcrossed this offspring with the original Cheese mother. Selfing is the process of forcing a female plant to produce male flowers and so pollinate itself and create new seeds without the need for a genuine male parent. This is used both as a means of preserving strains and of producing feminized seeds; because the mother plant is actually both the father and mother of the new generation, none of that generation should be genetically male. It is still possible that hermaphrodite plants can be produced using seeds from selfed mothers, which is why breeders of feminized seeds select mothers which have no natural tendency to hermaphroditism and force them to produce male flowers through harsh chemical procedures such as the application of colloidal silver. Synthetic varieties are one of the least used methods of breeding marijuana strains, but widely used in other sectors of agriculture. A synthetic variety such as Cream Caramel by Sweet Seeds is created by interbreeding three or more IBLs in all possible combinations, and using a mix of all the seeds produced from those crosses. In some senses you could consider a synthetic variety to not actually be a single strain at all, and depending on the similarity of the parents used phenotype variations can be massive. A landrace strain is one which has developed in isolation from other strains. In practice a landrace strain is likely to share the same true breeding characteristic as an IBL, the difference being that an IBL has been deliberately inbred to produce homogenous plants where a landrace has been geographically isolated from others resulting in inbreeding. World of Seeds offer many landrace strains from as far afield as Thailand and Colombia. In practice the terms IBL and landrace are often used somewhat interchangeably; you can find Afghani#1 discussed earlier referred to as an IBL and as a landrace in different places, again showing that all of these terms are somewhat vague when it comes to marijuana (as far as we are aware, Afghani#1 is actually an IBL selectively bred from several different Afghani landraces, but either way it’s not really worth arguing over, the bottom line is it’s quality Afghani marijuana). 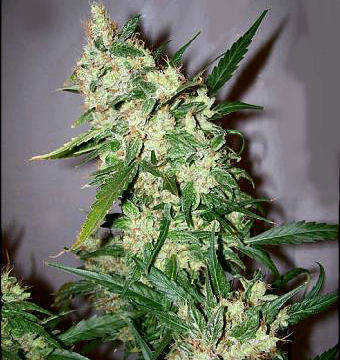 Why buy Hybrid Feminized Marijuana Seeds ? Let me clarify something in regards to ‘terms’ as this part “There are many terms which get used (and abused) by both breeders and growers talking about cannabis strains and breeding; in truth the very nature and definition of strains is often very loose within the marijuana world” jumped out at me. If we go by standards already in place for a few decades as stated out by RHO (most nations commercial horticultural practices are based on their ideas etc). Referring to a true-breeding cultivar an IBL or landrace will both fit this definition so long as true species-of-origin is not cross bred or if it is derived from hybridized lines at least F4 is reached (although most breeders wont use terms ‘heirloom’ or IBL until F7 generation) as this is considered locked-down. What about the seeds that you get in your buds sometimes? I have quite a few that I’m going to try and grow. How do I know what strain they are or anything else about them? Hi guys I notice a few mentions of marihuana-seeds.nl, I would like to know if any of you guys have ever tried seeds from them as I recently started my first grow using THC Bomb regulars from M-S.nl (got 5 free criticals) so far as I can tell all of them are female but I am having a lot of trouble finding the right nute regime, so far they hav had Cal-mag def and nitro def and burn from both i cant seem to get it right. Is it me or the seeds? A seed from a selfed plant will still have some variation. While the genetics are all from the mother for both pollen and ovule, each is a haploid gamete produced from shuffling both sets of chromosomes into a half set. So each gamete is individually unique. While the gene pool is all from one parent, the possible outcomes are still variable but more limited. So it is inaccurate to say a selfed seed will be “the exact clone of the seed that won the cup”. The only way to get an exact copy is to get a clone from the original plant. Thanks Billy. You are, of course, technically accurate. I think what our writer was getting at was that it is as close to a copy of the quality of a cup winning plant without taking an a actual cutting from the actual winning plant. Thanks for your input.